You worked hard to start your own business – the long nights and early mornings were tough, and you drank a lot of coffee to push through. It was worth it, though, since you’ve got the freedom you want and your company is expanding. You meet prospective clients all the time when you travel around DFW, and when you do, you’re embarrassed about your smile because it’s so dull. You want a grin full of radiant pearly whites to impress your clientele, but you don’t know where to start. Should you try strips or an over-the-counter gel? What works best? Luckily for you, the team at Lancaster Family Smiles knows that ZOOM! 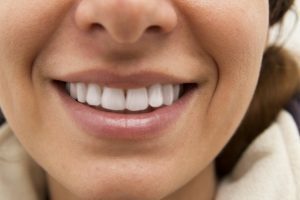 teeth whitening in Lancaster is the most popular cosmetic treatment, and for good reason – it works. In this post, learn all about the process for ZOOM! and the impressive results you can expect. ZOOM! is a quick, effective in-office treatment to whiten your teeth. We use a professional strength whitening gel that addresses discoloration and a special light that activates the gel’s lightening power. What Is The ZOOM! Process? To begin the ZOOM! process, we’ll place a retainer in your mouth that will move your lips away from your teeth to allow the gel and light to work best. Then, we’ll protect your gums with a gentle substance that forms a barrier, keeping the gel on the teeth only. After we apply the whitening agent, you’ll relax in the chair as we shine the light on your teeth to help the gel exfoliate stains from inside your teeth. We’ll change out the gel a couple of time in the process to make sure you get the dramatic results you want in about an hour or less. Absolutely! ZOOM! is the preferred method of tooth whitening in Lancaster, and for good reason – it works. Not only is this option popular among celebrities and their Hollywood dentists, it works for people like you, too. But don’t believe us – check out the impressive results for yourself to see how much your teeth could benefit from ZOOM!. Dr. Mahima Gupta wants to make sure that every patient can afford the brilliant smiles they deserve. She offers CareCredit financing for those interested in low monthly payments. Give us a call if you have any questions about how to cover the cost of your smile upgrade – we’re always happy to answer questions and explain your options. Now that you’ve zoomed in on the most popular cosmetic treatment available and you know that ZOOM! works, schedule your appointment at Lancaster Family Smiles today and get the sparkling white smile you’ve been dreaming of!